Want to receive a discount from Business King? Go ahead! Every purchase, review, subscription and so on brings you certain amount of money that can be spend on your purchases at our store. Buy our products and get money in reward! 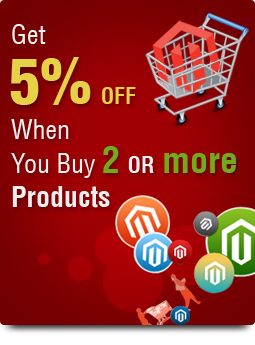 Registered customers receive money after certain activity in Business King Magento Store. Read news, buy Magento modules, write reviews and make money. Every action adds funds to your balance. You can spend this money on extensions or additional services buying. Unused points expire after 75 days from the date of reward.